5 yr old Anne: if taking a lot of medicine kills us, doesn’t taking a little kill us a bit? It is true that you can make home wherever you are, but this time round I’m very convinced that we have something going here. Something worth holding on to, something worth protecting, sharing, but not selling; something worth celebrating and taking time to muse over. Something that’ll stay with you even after you’ve set up base many miles away. Something that ties us all together. A shared experience. Of good hawker food, bad hawker food. Cab drivers that drive too fast, not fast enough. The crazy pace of life but also the time we have to complain about it. Ah, the complaining. Something I thought wasn’t constructive, but maybe on some level, something we all have in common. Something that is ours, and nobody elses’. My friend Julie summed it up pretty well when she said Washington DC, as a living space, felt functional. After all, we have university towns like Cambridge MA that inherits the attributes of its many academic institutions, industrial cities like Detroit and reinvented cities like Pittsburgh, which take after their respective industrial centres. 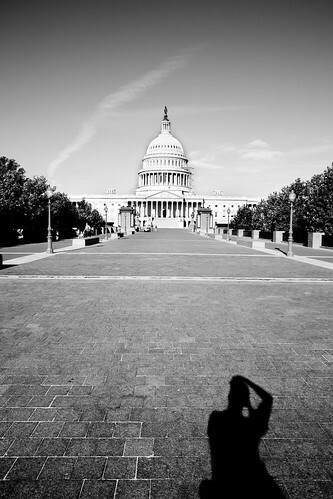 Washington DC, unlike pretty much any other city, has government as its centre, and it shows. Administrative buildings are everywhere, and it feels like the herd that heads to work by the metro in the morning is made up mostly of eager interns in suits. Of course, I’m generalising, and also further influenced by the fact I’m putting up 2 mins away from the Capitol Building, probably the most recognised government building, if not any building, in the world. I was told that Washington is made up of many centres, and that the feeling of utilitarianism applies only to the area around Capitol Hill. The young and restless in Dupont Circle, the more settled in Arlington, so on and so forth. It is probably a function of age, but I find the best part of my travels lie not in visiting tourist attractions, but the simple pleasures of reading on a park bench, or watching the sunset from a nice vantage point, eating a hot dog. The time and space to gather my thoughts, organise them and write them down. 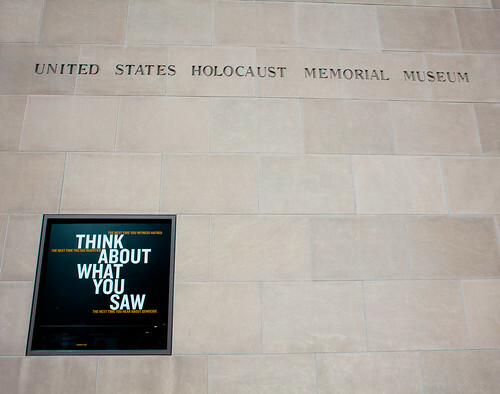 I visited the US Holocaust Museum today and was absolutely blown away by the quality of its storytelling. History has, by and large, been associated with boring stories of a time gone by, and it has been hard to engage an audience already bombarded with more information than their attention spans can handle. From my own experience, attempts to make history relevant have always been done on a macro level: my history teachers have always tried to show us how events in history shaped the current issues we grapple with today. But there’s a certain apathy for current affairs, especially among the younger generation, which renders this approach ineffective. 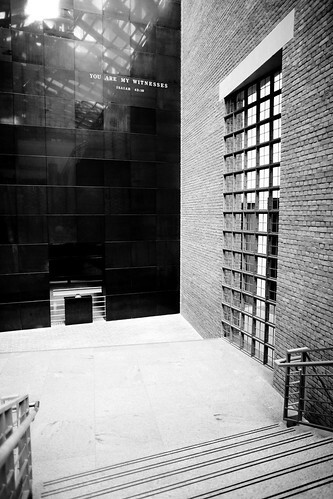 What the Holocaust Memorial Museum does so well is to contextualise the historical event, macro level history with timelines, very very effectively into personal, emotional journeys accessible to anyone. They did not substitute the whole picture with emotional pieces; when you entered the museum it was clear they were presenting something immense and profound, a monumental event in the history of humankind. But the museum made it clear from the entrance that they were doing more than showing you an event; they were changing your worldview. The next time you witness hatred; the next time you see injustice; the next time you hear about genocide; Think about what you saw. They prepare you for a call to action. The personal voice resonates throughout the museum. Just inside the entrance a verse from scripture reads “You are my witnesses”, creating a sombre call from the grave, telling us that this event should never ever be forgotten, also setting up a role for us to assume. It was a pity I wasn’t allowed to take photos within the exhibitions. There was an engaging one on Nazi Propaganda, beautifully set up to display how Hitler used stunning communication strategies to campaign for political power. It was noted that Hitler was self-taught, and was extremely savvy in assimilating proven communication techniques to target key demographics, evoke emotion, highlight existing frustrations borne by the German populace undergoing a global recession, and come across as someone with the noble cause of uniting Germany against a common enemy. It was only later that he explicitly personified everything that was wrong with the world on the Jewish people. One would be hard-pressed not to agree with the charismatic speeches in which he bemoaned the plight of common German folk, and the need for change (a very familiar tactic). Huge touchscreens were used appropriately for visitors to discover more via multimedia content, and technology, while cutting edge, did not seem overbearing and was tastefully invisible. The permanent exhibition in the museum (all 3 floors of it) starts off with every visitor given an identification card belonging to a real victim of the holocaust. Visitors were urged to read one page, continuing after they had visited each floor of the exhibition. The storytelling via persona draws an emotional attachment to the story and makes it relevant to the visitor. 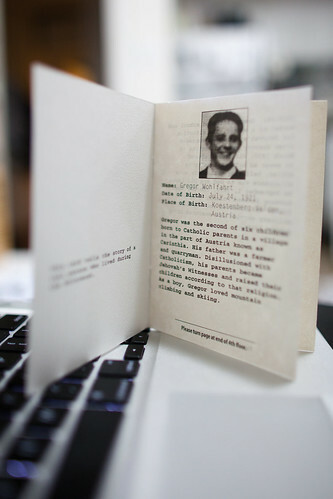 There were many different ID cards, so you felt like you were bonded to this particular victim of the Holocaust, like a friend. And as his or her story unfolded as you moved through the exhibit, the relationship between the historical event and its impact on very real individual lives drew you in. The exhibition also consisted of extremely well-made video interviews with existing holocaust survivors, many of whom had amazing personal accounts of what they were made to endure. All of the stories were told with tears, some of triumph, most of loss. I sat there watching, mesmerised for more than an hour. The exhibition ends with a call to action, bringing the story to present day atrocities and genocide, urging us to pay attention and do anything in our power. It is impossible to walk away unchanged or unaffected. Not after having seen and felt something so deeply emotional, profound, and relevant in our society today. A few hundred miles south, there is talk about why a mosque should not be built at ground zero, and it is hard not to see the parallel - the repression of basic human rights, the alienation and vilification of an entire people, and the belief that somehow one party is more entitled than the other. You seem embarrassed by loneliness…by being alone. It’s only a place to start. I sometimes wonder why I do this. Sitting here, thousands of miles away from family that loves me, spending my own savings on these trips - these conferences - in the pursuit of learning how I can make things better for the people around me: my employer, my country, maybe the world in which I am but a part of. My life is more blessed than most. I have a wonderful family who loves me, and I them. I’ve always found jobs that allow me the latitude, to varying degrees, to redefine my role there so I can be more effective. We don’t have much, but we have enough. And then there is a part of me that is in love with melancholy. It is not sadness, but the bittersweet feeling that comes with pensiveness; a state of awareness that only comes about by stepping back and becoming an observer, even if only for a little while. Time to think, to write, to discuss - but quietly and reservedly, not the blaring noise of social media campaigns, but in soft, measured tones by people genuinely concerned that we sit on the cusp of making something better than it is, and worried that we pass this opportunity by because of a multitude of weak reasons. So join me. Let’s see where this road leads. I took the afternoon off to spend some one-to-one time with Anne. Ever since Caleb was born Faith and I have always expected her to be all grown up, and for the most part she’s been very gracious about it. It was so nice to give her space to be herself, and not have to be Caleb’s older sister. I received an invitation to bring Anne for a special session with CBeeBies’ Mister Maker, an art and craft programme on BBC for kids. I wasn’t sure if she was familiar with the show. It was only then I discovered she had ditched Playhouse Disney a couple of weeks ago, and now exclusively watched CBeeBies. When she heard that we could go meet Mister Maker live, she pretty much went nuts and started counting down the days to the event. When she finally did meet Mister Maker, she took a while to warm up. and it took a bit of coaxing, but she gathered up her awestruck self and went up to the stage for a photo with her favourite CBeeBies personality. You should have seen how long the smile lasted on her face.